Any way they slice it, chefs all over the world know how hard it is to imitate a New York pizza. Nobody&apos;s really sure why. Some say it&apos;s because of the unique minerals in New York City water. Others just shrug their shoulders and stuff their mouths. A real New York pizza should be wide and the hand-tossed crust should be thin, so you can easily fold it into a V. Fresh mozzarella is a must, and a good pie&apos;s never drowning in tomato sauce. New York City even provides a list of what they believe are the top pizza places in the city, although you may find that many different pizzerias can accommodate your taste buds. There’s some difference of opinion about where pizza was invented, but aficionados say New York pizza was first served by Gennaro Lombardi who opened a grocery store on Spring Street in Manhattan more than 100 years ago. In 1905, when he began selling tomato pies by the piece to workers who came to his store looking for something to take to work for lunch, America’s first pizzeria was born. Lombardi&apos;s closed its doors in 1984, but ten years later Gennaro&apos;s grandson Jerry reopened down the block. 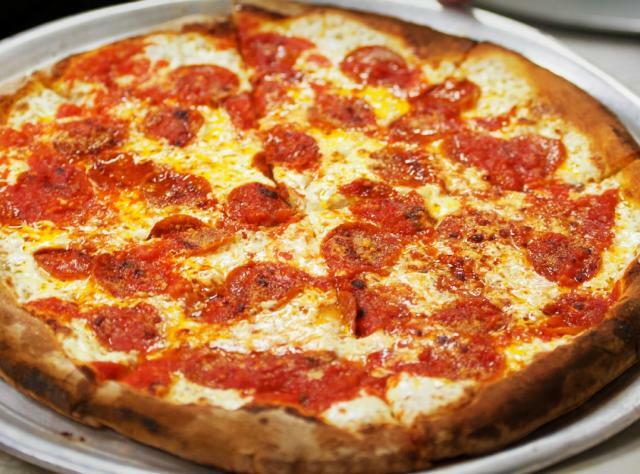 You can find Lombardi’s Pizza at 32 Spring Street, where they’re still serving up coal-fired oven pizza, prepared with fresh ingredients and original Italian sauce. Pictures on the walls proudly show the history of the restaurant, a favorite with locals and tourists. Stop by for a slice and see what you think. Where&apos;s the best place to get a taste? Depends on whom you ask. New Yorkers pledge their allegiance to pizza places they way sports fans do to their teams. Fans of Lombardi&apos;s, Arturo&apos;s and John&apos;s Pizzeria head to the Village to get their fill. Cross the East River to see why at Di Fara, Totonno&apos;s and Grimaldi&apos;s have a few locations. Totonno&apos;s on Coney Island opened up shop in 1924 and is the oldest continuously-operating pizzeria in the US. Throughout the state, you will discover that there are &apos;special&apos; pizza parlors doing a brisk business that the locals will head to when a pizza pie is on the menu. Adventure out and find your own favorite!